In this article, Melissa R. Giuttari, MA, LMHC answers my questions about how art therapy and yoga can help with social anxiety. Q: What approaches do you take to treat those with social anxiety disorder? Melissa R. Giuttari: People with social anxiety disorder essentially view their environment and relationships as threatening and stressful. They experience symptoms of panic, fear, and even shame because of this. The ability to shift one’s perspective and to remain calm in stressful situations are the main factors involved in reducing social anxiety, at least in my approach. Art therapy and yoga are two approaches I use to treat social anxiety disorder with great success. Q: What is art therapy and how is it unique from other forms of treatment? Melissa R. Giuttari: Art therapy is a form of psychotherapy that uses art and the creative process to resolve emotional conflicts, thereby enhancing emotional, social and physical well-being. An underlying premise of art therapy is that when you engage in the creative process—painting, writing, music-making, dancing, for example—you are activating the part of your brain that produces ideas, inspiration, and insight. This flow state of creativity brings us to that “aha!” moment, helping us to discover new perspectives on stagnant problems. In the case of social anxiety, this can translate into shifting the perception of our environment from threatening to non-threatening. On top of this, artwork that is produced in art therapy sessions typically reveals subconscious thoughts and serves as a visual metaphor for emotional issues and conflicts. Q: How can art therapy be used to help those with social anxiety? Melissa R. Giuttari: Art therapy can be a very effective, efficient and non-threatening treatment approach for people struggling with social anxiety disorder for other reasons as well. Since one of the biggest obstacles for someone with social anxiety disorder is difficulty verbalizing emotions and concerns, art therapy is a natural portal of communication when words are not available. This then enables the therapist to identify the problem and direct an effective course of treatment. Another curative factor of art therapy in treating social anxiety disorder involves the sensory and kinesthetic aspect of art-making. Anxiety is mediated by the amygdala, which processes emotion and sensory input from our environment. The creative process of art therapy can “speak the language” of anxiety at a level of cognitive experience that language at times cannot. My approach in treating and helping people with social anxiety focuses on strengthening your ability to remain in the present moment, in the here and now, versus “flying away” with your worries. I use art therapy processes that require focus and attention on the present, such as painting, journaling, and guided imagery. One of my favorite techniques is to create a self-portrait using a mirror. This not only draws your awareness to the present moment, but also opens the door to explore issues of identity and self-acceptance. The ability to engage in this type of self-reflection and mindfulness of the present moment ultimately leads to a significant decrease if not complete elimination of anxiety. Q. How can yoga specifically be used to reduce social anxiety? Melissa R. Giuttari: Yoga is another approach that is helpful in reducing social anxiety. Yoga is the communion of the body and the mind. From a physiological perspective, certain yoga postures can create neurological changes that reduce anxiety. From a psychological view, the discipline of yoga allows us to practice observing our thoughts without acting upon them. 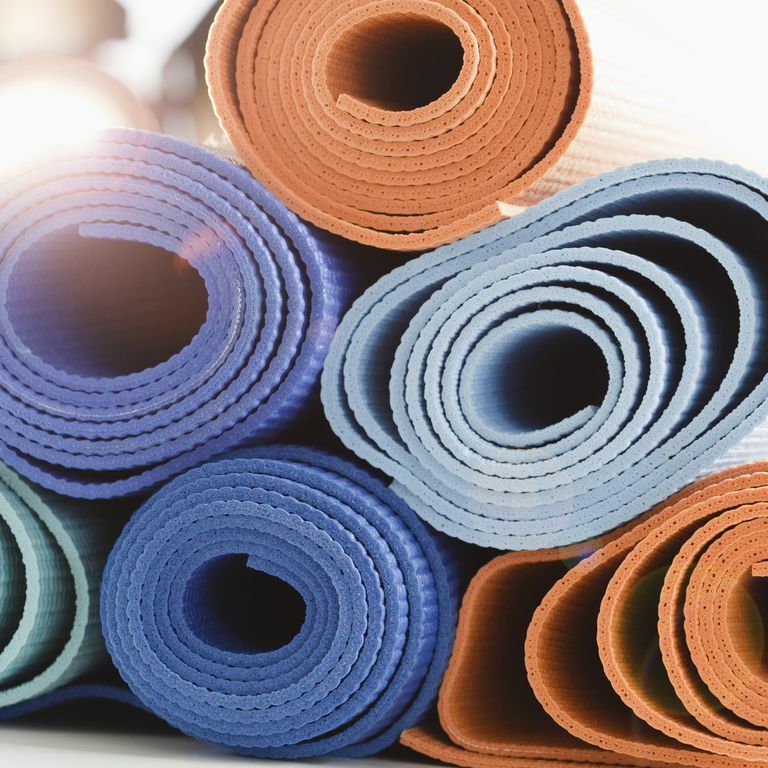 Yoga can teach you a lot about the ways you can shift from a perspective of reacting to a stressful or uncomfortable situation to mindfully choosing a response to the situation. Breathwork, or pranayama, is an integral part of yoga that is of equal value in working with social phobia. It sounds a bit funny, but this part of my job actually entails helping people learn how to breathe properly! When you are anxious, you are taking very shallow breaths and bringing very little oxygen to your body. As soon as you deepen the breath and breathe using your diaphragm, you are lowering your heart rate and blood pressure, and eliminating rapid breathing, essentially dissipating feelings of panic and anxiety. In summary, social anxiety is rooted in a combination of thoughts, emotions, habits, and bodily sensations. I like to use an integrated approach and tailor my treatment in a way that targets each person’s unique balance of these factors. Ms. Melissa R. Giuttari is a licensed mental health counselor with over 16 years experience working with children, adolescents, and adults. She specializes in the treatment of depression and anxiety, using a tailored and evidence-based approach with each individual. Melissa received her BA in Psychology from Middlebury College in Middlebury, Vermont and her Masters in Expressive Therapies from Lesley University in Boston, Massachusetts. She graduated from Convent of the Sacred Heart high school in New York City. Melissa is also a certified yoga instructor and completed her 200-hour training at a registered Yoga Alliance school in Hilo, Hawaii. Melissa has presented at numerous conferences, including at the First International Conference on the Creative Arts in Therapy in Singapore. Her extended travel stays abroad throughout her life have provided her invaluable insights and a unique sensitivity to cultural diversity and its unique expressions. She currently works in private practice on the Upper East Side in New York City, and has additional office locations in Jersey City and Spring Lake in New Jersey. For further information, please visit her website at www.melissagiuttari.com, or contact her directly via phone at 718.213.8664 or via email at artsintherapy@gmail.com. What Is Kava Kava and Can It Help Your Social Anxiety?